Each Smith & Cult nail polish references a diary entry written by the brand's fictional muse - 'A Little Lovely' evokes her experience at a fairy tale-themed birthday party. 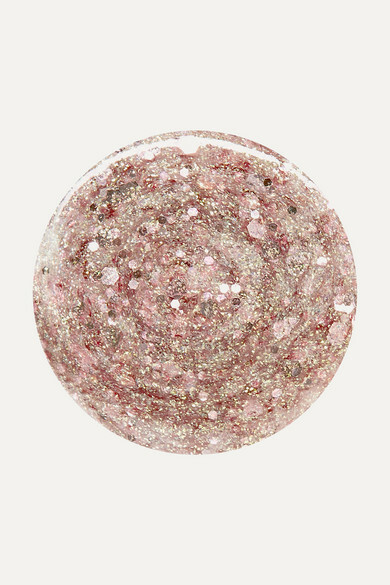 It has a clear base that's flecked with gold glitter and large baby-pink hexagons. The specially designed wide brush makes layering it over another color really easy.